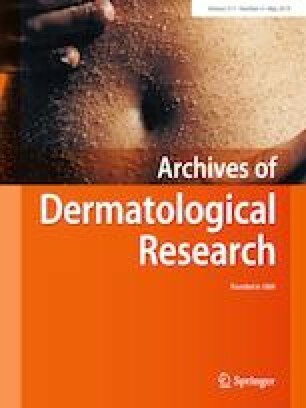 Psoriasis is now recognized as an immune-mediated inflammatory dermatosis with increased risk for metabolic syndrome, its individual components, and cardiovascular disease. We quantitatively estimated malondialdehyde (MDA), lipoprotein-a (LP-a), lipoprotein ratios, comprehensive lipid tetrad index (CLTI), and atherogenic index (AI), and evaluated cardiovascular risk in 132 (M:F 94:38) patients with psoriasis aged 20–79 years with chronic plaque psoriasis and equal number of age and gender-matched controls. Lipoprotein ratios, CLTI and AI were calculated using standard formulae. Cardiovascular 10-year risk was graded by Framingham risk score (FRS) as low, intermediate and severe. Mild-to-moderate and severe psoriasis was present in 125 (94.7%), and 7 (5.3%) patients, respectively, and 19 (14.39%) patients had psoriatic arthritis. Statistically significant differences were noted for LDL, LDL/HDL, non-HDL/HDL, MDA, LP-a, AI and CLTI. There was a significantly positive correlation between PASI with LP-a (p = 0.003, r = 0.25) and AI (p = 0.012, r = 0.22). Serum levels of MDA correlated positively with LP-a (p < 0.001, r = 0.55), AI (p < 0.001, r = 0.51) and CLTI (p = 0.006, r = 0.24). FRS was low, intermediate and severe in 78%, 18.9%, and 3% patients compared to 85.6%, 13.6%, and 0.8% controls, respectively, and the difference was not statistically significant. Psoriasis appears to be an independent risk factor for elevated serum MDA, LP-a, CLTI and AI. However, whether they can be used as surrogate markers for enhanced cardiovascular risk in patients with psoriasis, remains conjectural. Mr. Ramesh Chand Goel (MSc. ), former Biostatistician, Post Graduate Institute of Medical Education and Research, Chandigarh (India), helped in statistical analysis of the data. His erudite association throughout the study is gratefully acknowledged. The authors also thank their patients/subjects who volunteered for the study. DW obtained compiled, analyzed all data and prepared the initial draft. VKM analyzed and interpreted data, drafted, and critically evaluated the manuscript for important intellectual content. RSY and SB provided intellectual help in investigative study and interpretation of biochemistry results. KSM, PSC, VS, AS, AS, and SC helped in obtaining, compiling and interpretation of data and literature search. All the authors were involved in the revision of the draft manuscript and have agreed to the final content. All the authors declare that they have no competing interest and, therefore, nothing else to declare, and have contributed significantly and take full responsibility for the manuscript. The authors of the paper are obliged to confirm that it has not been previously published. The study was not funded by any agency. The clinical data form part of the thesis submitted to Himachal Pradesh University, Shimla, (H.P.) for the degree of M.D. (DVL.). The study was approved by Institutional Scientific Protocol Review Committee and Institutional Ethics Committee (Rgn no ECR/490/Inst/HP/2013/RR-16). Informed consent was obtained from all the patients for being enrolled in the study. All the procedures followed were in accordance with the ethical standards of the responsible committee on human experimentation (institutional and national) and with the Helsinki Declaration of 1975, as revised in 2013.